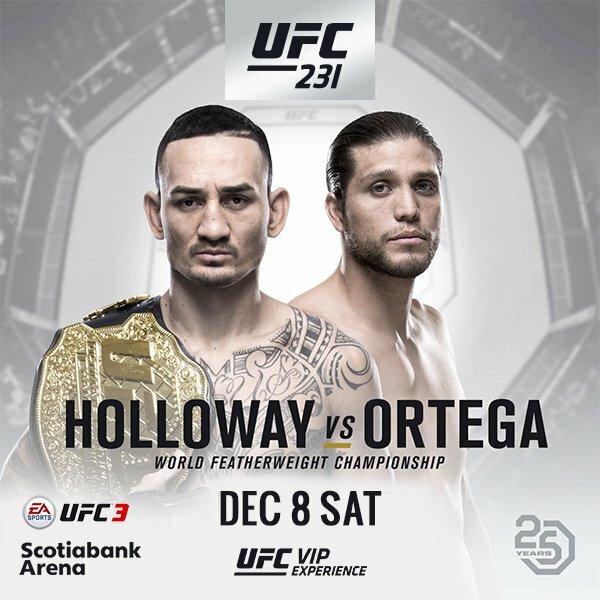 UFC 231: Max Holloway vs Brian Ortega Fight Pick & Preview | MMA Fighting Events Videos Techniques UFC Fight Picks and News. The UFC tonight is going to feature a main event that many MMA fans have been thirsting for! No cancellation this time, Max Holloway is healthy, he's made weight, and is ready to defend his UFC featherweigth title versus fast rising and number one contender Brian Ortega! 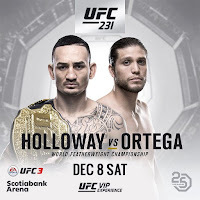 Let's take a closer look at these two fighters and then I'll make my fight pick for UFC 231: Max Holloway vs Brian Ortega! Feel free to comment below! Brian Ortega is coming into UFC 231 undefeated in MMA at 14-0. He's coming off one of the most impressive victories in his career as he knocked out Frankie Edgar. Ortega is well known as a submission artist, but his stand up has been improving by leaps and bounds and he's showed it is a force to be reckoned with. Brian Ortega has become a fan favorite by finishing fights. He's finished 10 of his 14 fights including his last 6 UFC fights which have all been finished either by a submission or KO/TKO. In those six he's pulled off two guillotines, one triangle, two KO's and a TKO. Max Holloway is the UFC featherweight champion and comes into UFC 231 with an overall MMA record of 19-3. Holloway hasn't lost a fight since 2013. Since then he's done nothing but win. He's not just defeated bums, he's faced some of the top featherweights in the division including Jose Aldo twice. He's on a 12 fight winning streak for a reason. Holloway is the real deal! Holloway can stand and bang! He usually wears his opponents down with his gas tank, ability to take punches and his ability to counter anything and everything a fighter throws at him. 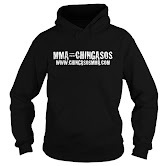 He's finished 11 of his 19 fights, 9 via KO/TKO and another 2 via submission. This fight is going to go come down to toughness. Holloway has proven stand up ability. Ortega's has great Jiu Jitsu and highly improved stand up. Look for this fight to go into deep waters. The ground game is where the fight will be decided. Ortega is better there, and will use that to set up his stand up and wear down Holloway. Look for Ortega to make this a muddy fight, using grappling to set up strikes, possibly get it to the ground, and eventually take the momentum and ride it to a victory!